Club Mead Pet Resort is a proud distributor of Mountain Dog Food. 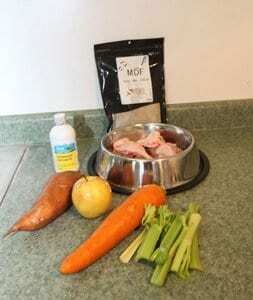 We believe in feeding a healthy and natural diet to our dogs and cats. Mountain Dog Food offers a wide variety of package sizes and types of raw food to accommodate your pet’s dietary needs. We like to keep things simple and we offer the highest quality pet food with nutritious ingredients. 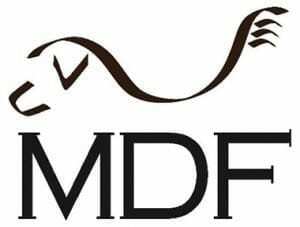 Club Mead is happy to be associated with Mountain Dog Food, a leading brand for pet nutrition. Pet owners are able to to incorporate a perfect combination of base protein, mineralized vitamin, and fat into the diet of their furry friends. The components offered by Mountain Dog Food effectively supply the daily dietary requirements of your pet, allowing you to provide balanced nutrition for a healthy tomorrow. We endorse this range of pet foods because the meat, vegetables, fruits and other ingredients used are sourced from inspected and reliable places, ensuring utmost quality and care with regards to what your pet needs. 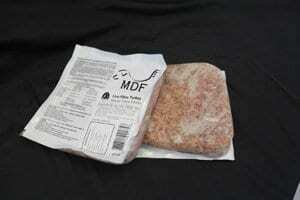 Mountain Dog Food also offers cat food that is designed for your carnivore pet. Consisting entirely of meat with no supplements or vegetables added, your feline friends are sure to enjoy their meals. Want to Serve Your Pet MDF? For an additional charge, we would be happy to serve your pet Mountain Dog Food during their stay. Most products in stock, special orders welcome. Raw Turkey Veggie and Fruit Bone in Turkey, carrots, celery, apple, yam and alfalfa. Raw Protein Balanced Turkey Veggie Bone in Turkey, carrots, celery, green beans and turkey liver. Raw Turkey Necks Turkey necks. Raw Ascension Chicken Bone in Chicken, carrots, celery, beef heart, beef kidney, kelp and supplements. Raw Ascension Beef Beef, chicken with bone in, carrots, celery, beef heart, beef kidney, beef liver, kelp and supplements. Raw Ascension Turkey Turkey with bone in, carrots, celery, beef heart, beef kidney, kelp and supplements. Small Breed Raw Chicken Chicken with bone in, carrots, green beans, celery, chicken heart and chicken liver. Small Breed Raw Turkey Turkey with bone in, carrots, green beans, celery, turkey heart and turkey liver. Bovine Veggie and Fruit Raw Beef, beef liver, carrots, celery, apple, yam and alfalfa. Raw Chicken Cat Food Chicken necks and turkey liver. Raw Turkey Cat Food Turkey, turkey heart and turkey liver. Copyright © 2016 Club Mead. All reserved.